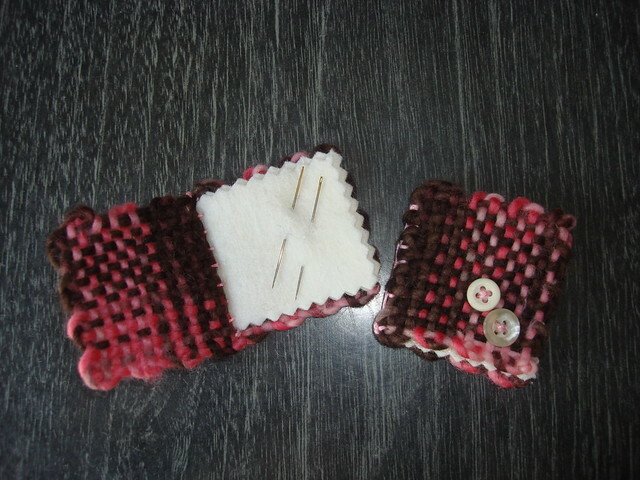 Pink and Brown needle books | Flickr - Photo Sharing! After everthing was sewn together, I added a couple of buttons to the cover to increase the cuteness. They are a little small, but almost all needles fit in on the diagonal. lasuprema and Noriz added this photo to their favorites.